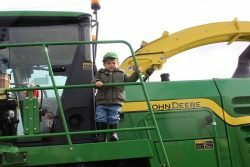 ALLIANCE, Ohio — Expertly climbing from the cab of a John Deere silage chopper, 2-year-old Linden Fannin was all business at the Columbiana and Stark County Farm Bureaus’ first Farm Frenzy event Oct. 18, held at the Mile Branch Grange in Alliance. When asked if he wanted to be a farmer some day, Linden replied with a simple “yep,” before leading his father, Kyle, to the next piece of machinery. The Fannins are exactly the type of audience the farm bureaus hope to reach with Farm Frenzy, according to Nick Kennedy, director of the Columbiana and Stark Farm Bureaus. 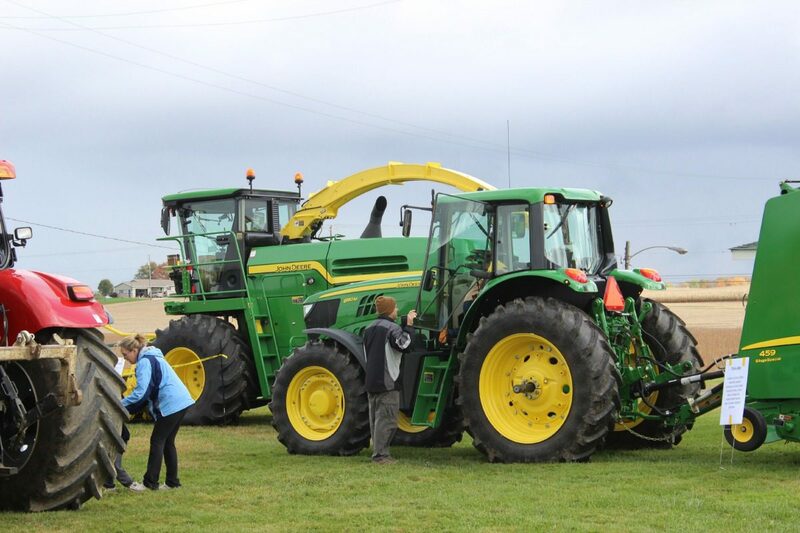 In addition to getting an up-close look at farm machinery, numerous vendors and representatives from the Winona Fire Department participated in the event. “We are hoping to make it an annual thing,” Kennedy said, noting that attendance was already near 100 in the first hour, in spite of less than perfect weather conditions.